Domestic gas prices may average $7.76 a gigajoule this year compared with $10.88 a gigajoule in 2018, says the Australian Competition and Consumer Commission, which yesterday published “netback” LNG prices as an east coast pricing benchmark. Users on the east coast are paying $12 per gigajoule of gas, up to four times historical levels as a squeeze on supplies and the linkage of international LNG pricing to the domestic market hits home. While that means Australian gas exporters face lower prices for their LNG supplies this year, it could ease the price squeeze for domestic buyers. The ACCC warned earlier this month that heavy industry on Australia’s east coast could be forced to shut with hundreds of jobs at risk as big manufacturers collapsed under the strain of high gas prices. 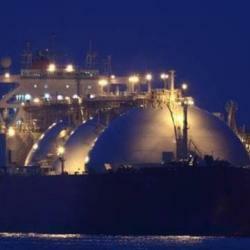 The linkage between the east coast and international LNG ¬prices took shape after Queensland’s three export projects started shipping local gas over the past few years to customers in Asia, effectively tying the two markets together. The ACCC now publishes LNG netback prices, which represent export prices minus the cost of freezing the gas to LNG and shipping it to buyers in Asia. The latest benchmark numbers issued by the regulator yesterday show the LNG netback price hitting a low of $6.20 a gigajoule in May before rising back up to $9 by the end of May. Strong supply growth, a warm Asian winter and low forecast demand in the forthcoming summer have acted to dampen sentiment in the market in recent months. Spot prices for LNG may fall to $US5 ($7) per million British thermal units, from $US7 per MMBtu currently, with a supply glut likely to persist until 2021, research firm Bernstein said last week. Despite a patch of softness in the market, Shell said it remained bullish on the medium-term picture amid expectations China’s gas demand would double by 2030 as it moved away from coal as part of a long-term shift to improve air quality. Australia snatched the title of the world’s biggest LNG exporter from rival Qatar in December after a $200bn spending spree on new export facilities from offshore WA and the Northern Territory to Queensland’s coal-seam gas-sourced industry. But that export surge has come at a cost with the Queensland industry crimping supplies for domestic users.